The Indian Residential Schools Program, which ran in Canada from roughly 1880 to 1996, is a tragedy in Canadian history. 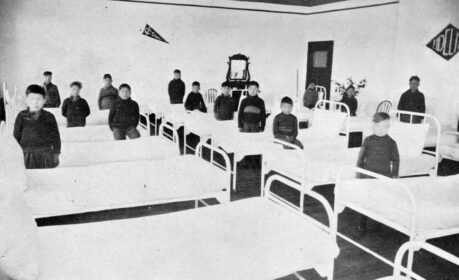 Indian residential schools, as they were called, were different from voluntary residential schools in Canada that were attended mostly by non-Indigenous students. This pathway is about those residential schools that were established by the Canadian Government specifically for Indigenous children. Together with Christian churches (Roman Catholic and Anglican) the Canadian government worked to create these schools as an attempt to educate and ‘civilize’ the Indigenous peoples of Canada. They wanted Indigenous children to accept European culture and ways of being. By the 1930s there were 80 residential schools across Canada. These schools took Indigenous children aged 5 to 16 from their homes and communities and separated them from their culture. Speaking First Nations’ languages was against the rules and the schools often had poor living conditions. Many children were underfed. Many became ill. The last residential school in Canada closed in 1996 in Saskatchewan. On December 15, 2015 the Truth and Reconciliation Commission of Canada (TRC) released its final report, which examined past wrongs to the Indigenous peoples of Canada. This report gives a detailed account of the experience of residential schools and the lasting effect they have had on Indigenous communities. Survivors of residential schools share their experiences, both positive and negative, in this report. Additionally, the TRC report outlines the steps that both the government and citizens of Canada must take in hopes of reaching reconciliation with Indigenous peoples. The Truth and Reconciliation Commission hopes that by acknowledging past wrongs to Indigenous peoples in Canada we will all work together to ensure wrongs such as these never happen again and that Indigenous cultures will continue to thrive. 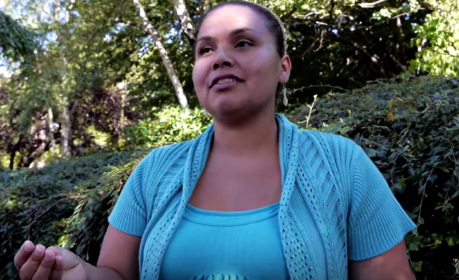 What can you learn from Royal BC Museum collections about past wrongs to Indigenous peoples? Cautionary Note: Residential Schools are a deeply disturbing part of our history. Some material in this pathway may trigger unpleasant feelings, both inside and outside of the classroom, and especially for survivors of residential schools and their families. We suggest teachers acknowledge this with their students. For those needing support, the Indian Residential School Survivors Society offers assistance. Read more about residential schools, including a list of suggested books for teachers to use in the classroom. Watch archival film of students at residential schools, language champion Renee Sampson and Aboriginal leader Sophie Pierre. View objects and images from the Royal BC Museum relating to truth and reconciliation and residential schools.